Suede cowhide leather palm work gloves, rubberized safety cuff, white back. Extended cuff protects against abrasions. 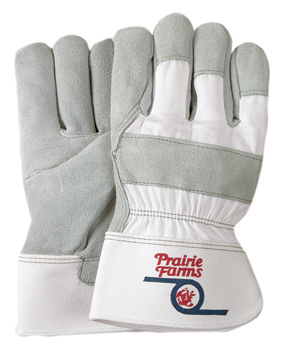 Our most popular leather palm gloves. 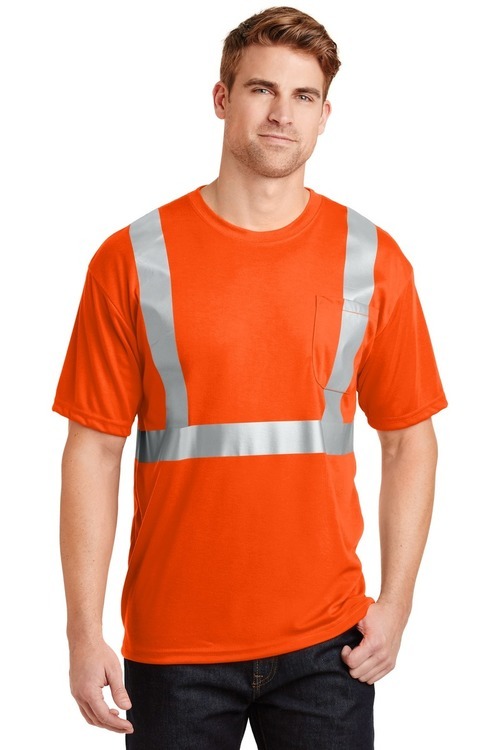 Great for construction and truck drivers. Available in white (style 472), brown (style 462) or yellow (style 463). 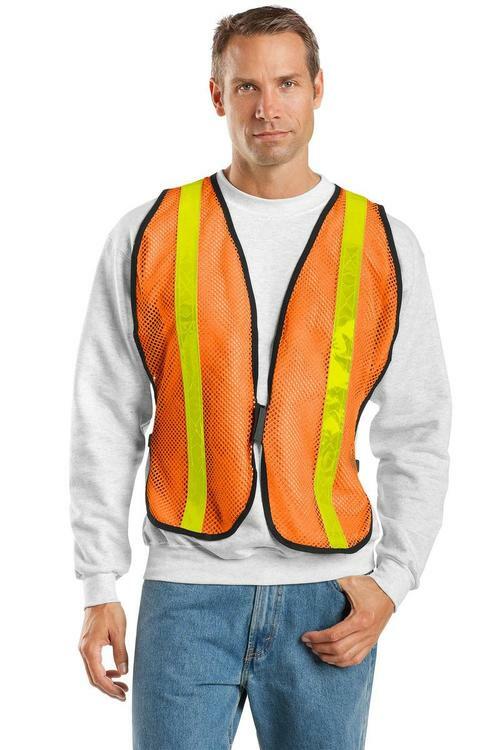 You are sure to gain some attention while wearing the Striped Safety Vest. 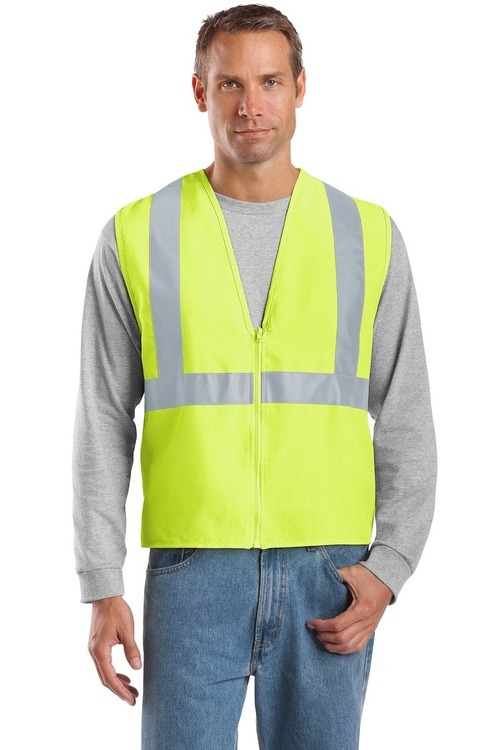 This convenient vest is made out of 4 oz. mesh and includes black binding, hook and loop front and side ties for adjustment. 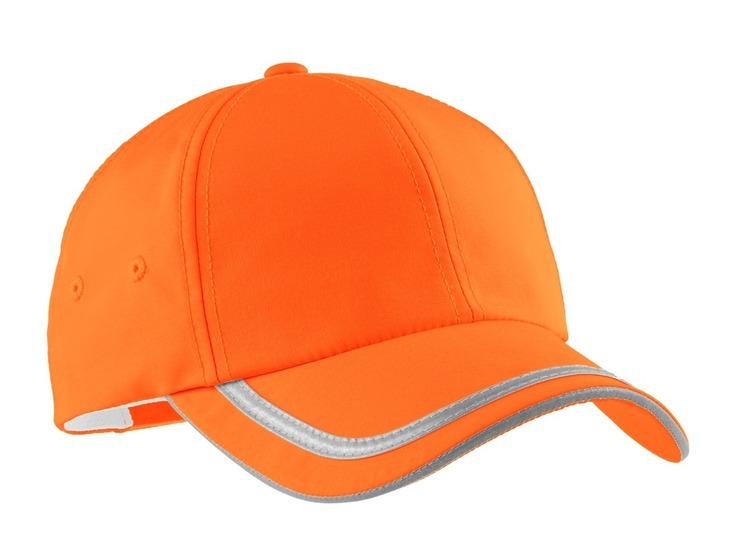 This product comes in lime and orange and is offered in various sizes for you to choose from. 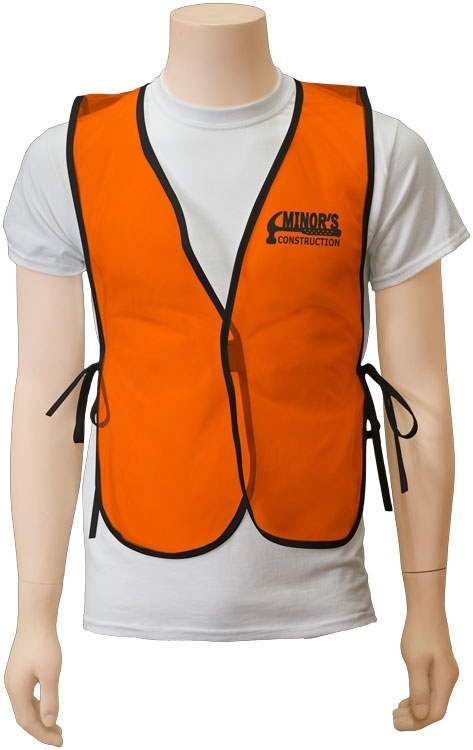 Make your safety vest even more special when you imprint a personal message or your company logo through the printed capability. You are sure to be the center of attention when you are wearing the Cool Wrap. This product is made out of a durable adjustable poly-cotton muslin material. This unique item has sewn in cooling crystals which allows it to swell when wet. The best part is that these cooling crystals are reusable. 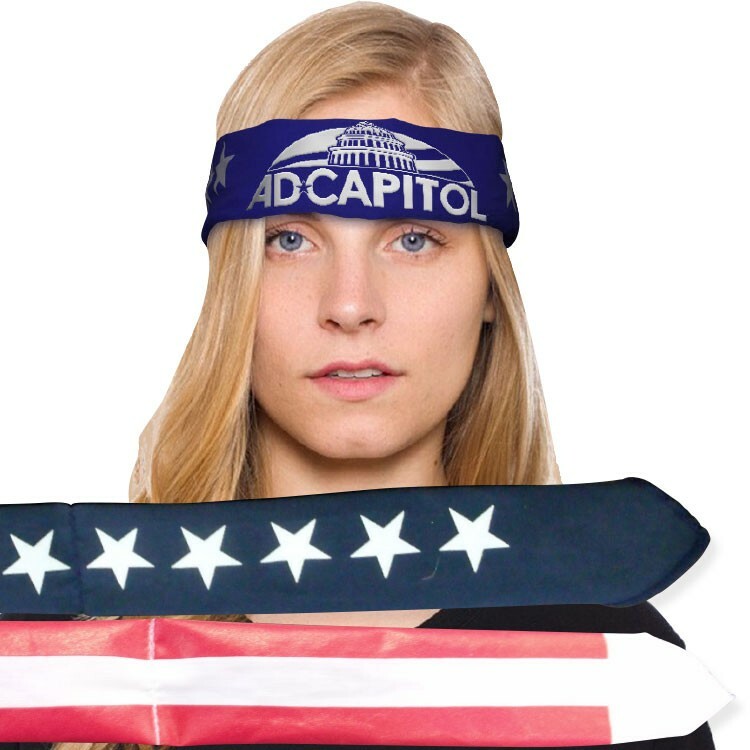 This wrap can be used as a headband or wrapped around the neck for evaporative cooling. 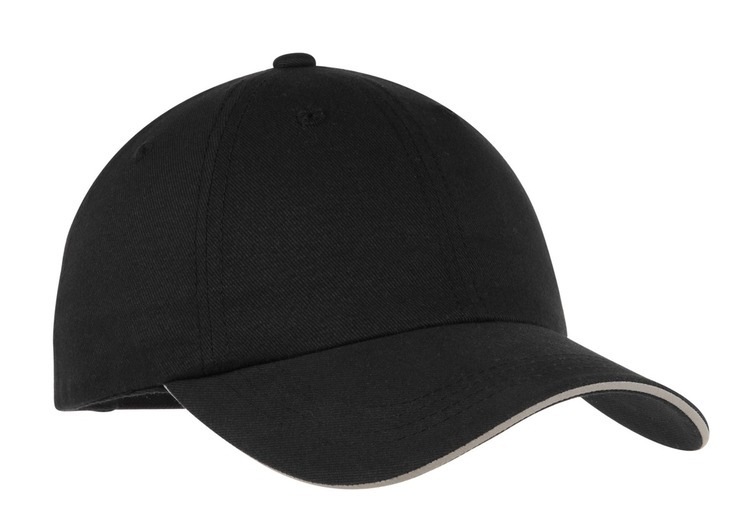 Make your product complete with a company logo imprinted. 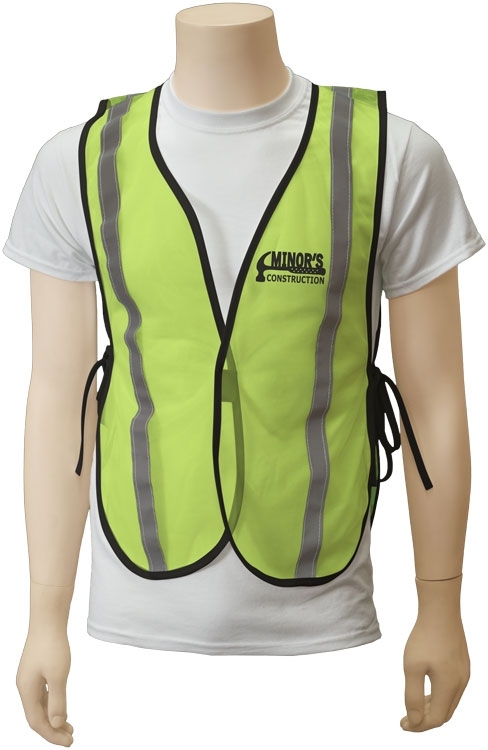 Invest in a giveaway item that’s helpful both for your clients and brand recognition with the Poncho Vest. This one piece pullover poncho vest is made out of 4 oz. mesh with side ties for adjustment. Choose the color option that suits your needs then decide upon the size or sizes for your business. That’s not all – you can also include a personal message or your company logo. 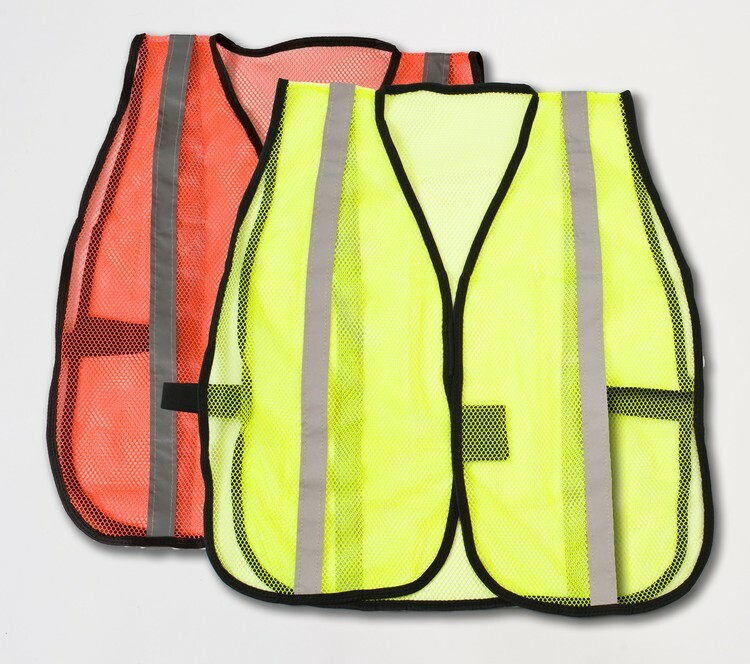 Great for schools, traffic control and more! 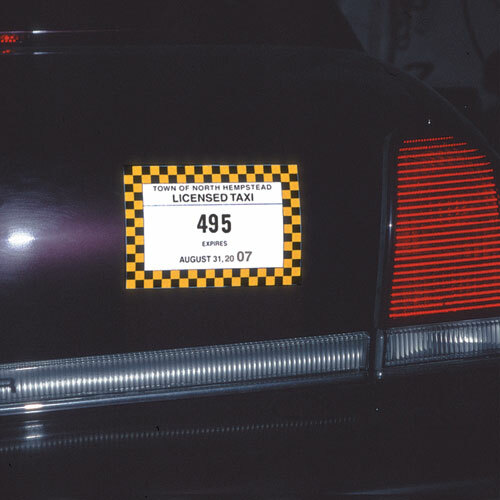 Reflective decal with permanent outdoor durability. Print transparent colors or opaque! Priced each in one standard color. 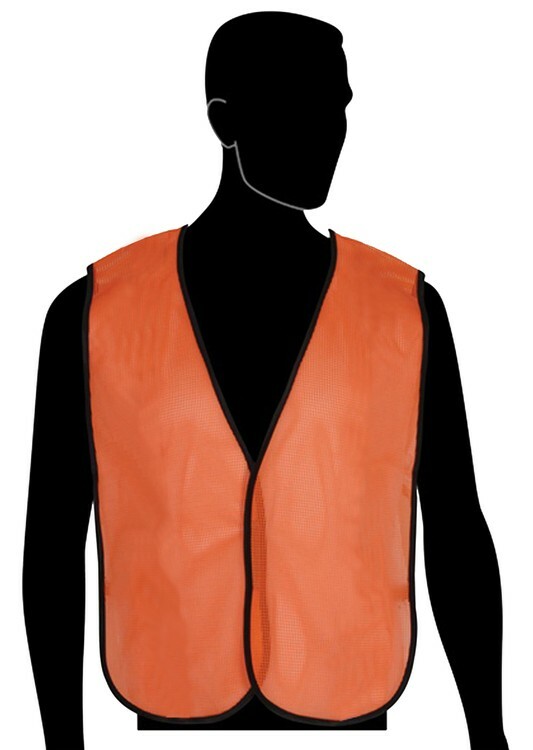 The Model #V-3P is a blaze orange mesh safety vest with Velcro closure and elastic sides. A great inexpensive safety item. The V-3P is one size fits most. 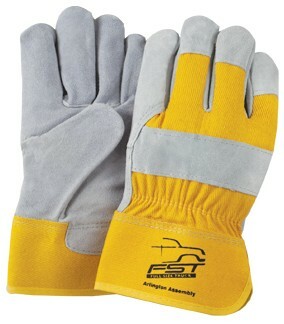 Select suede cowhide leather palm work gloves, rubberized safety cuff, yellow back. 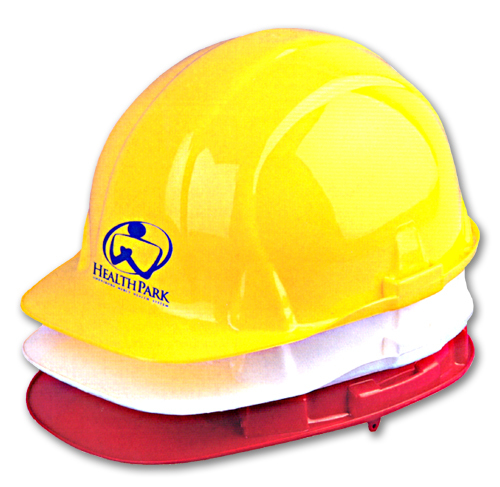 Great for truckers, material handling & construction. Available in yellow (style 463), brown (style 462) or white (style 472). 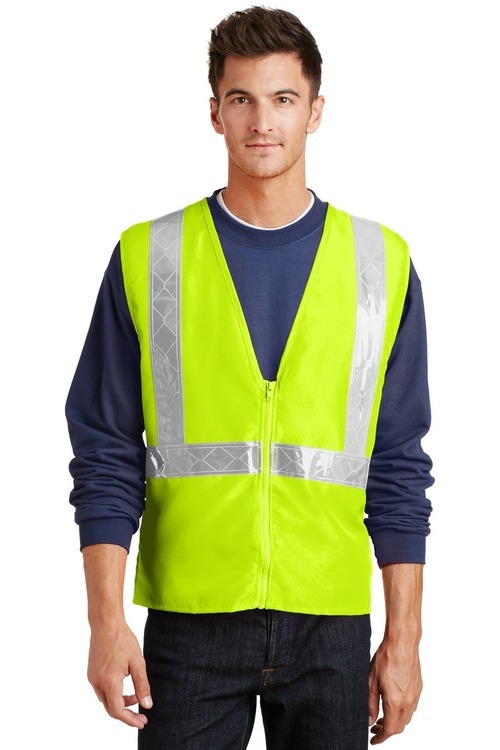 The No Stripe Safety Vest is a unique product that’s ideal for outdoor events. 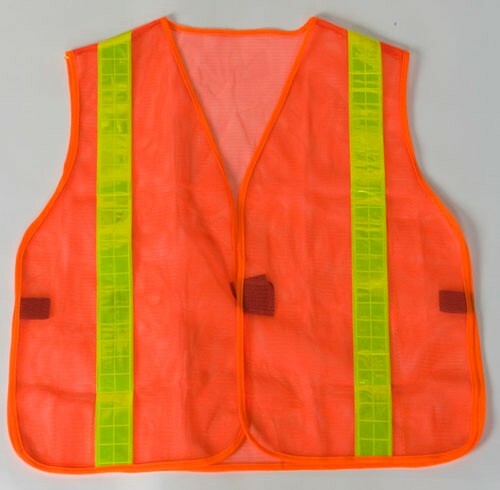 This vest is made out of 4 oz. mesh and includes a black binding, hook and loop front and side ties for adjustment. 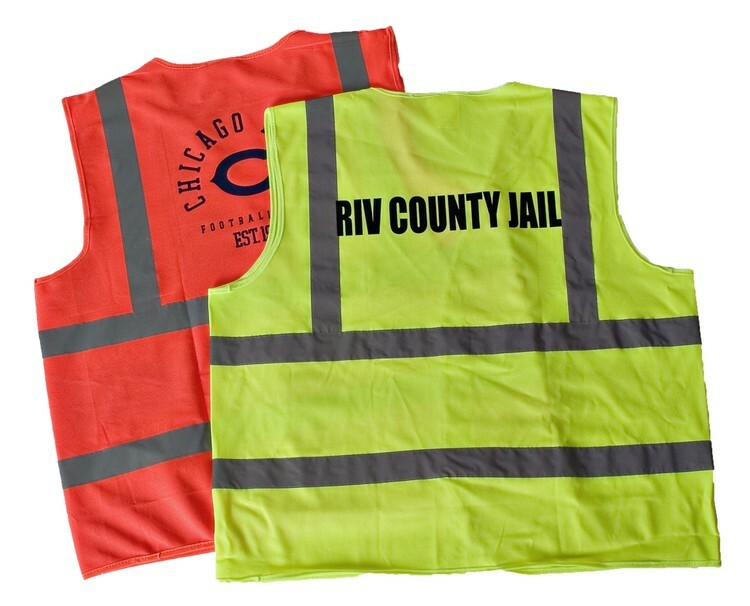 Choose from the two bright color options, pick the size or sizes that suit your needs then add a company logo to the vest to support your business. Please be advised this item is for daylight use only. 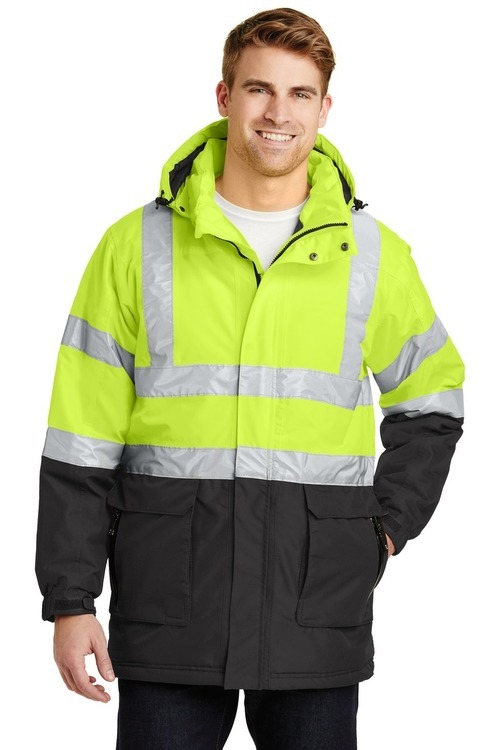 The District is constructed with a shell of windproof/water resistant polyurethane-coated polyester, and is lined with super heavyweight 11 oz. black anti-pilling Panda Fleece. 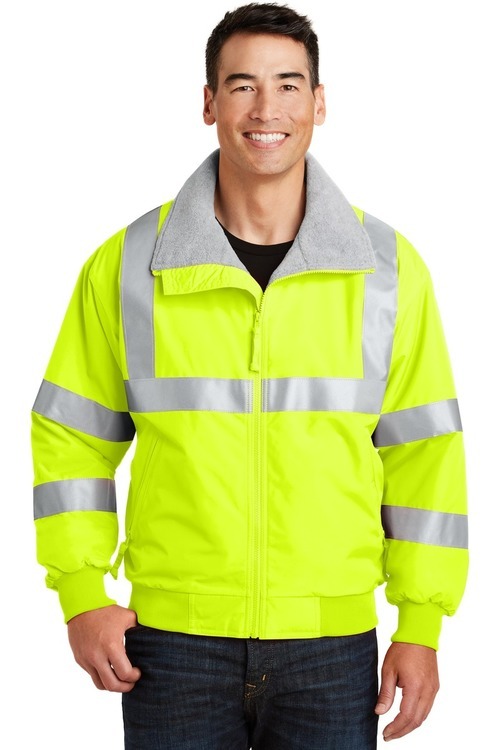 Features 3M 2” reflective tape, two front pockets with zippers and one inner right chest zippered pocket. Double-stitched seams for added strength. Stretch ribbed cuffs and waistband. Meet's ANSI/ISEA 107-2015 Standards, Class 3, Type R, Not FR. Sizes: S, M, L, XL, 2XL, 3XL, 4XL, 5XL, 6XL, LT, XLT, 2XLT, 3XLT, 4XLT, 5XLT, 6XLT. 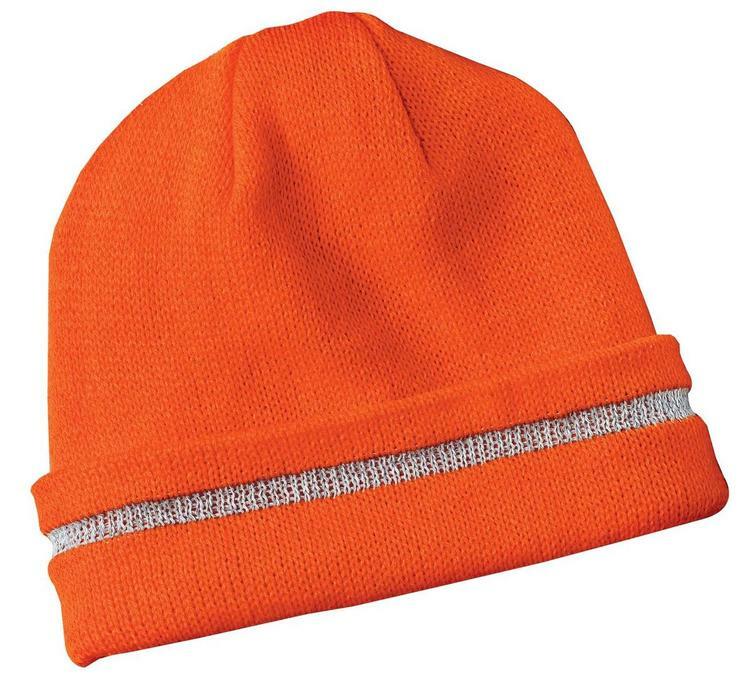 Colors: OSHA Orange, Lime Green. 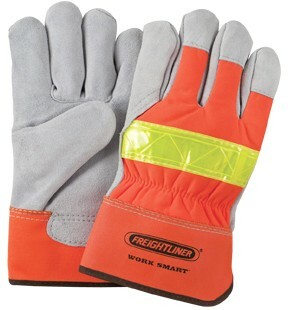 Select suede cowhide leather palm work gloves, 3M Scotchlite reflective knuckle, fluorescent orange back, rubberized safety cuff. 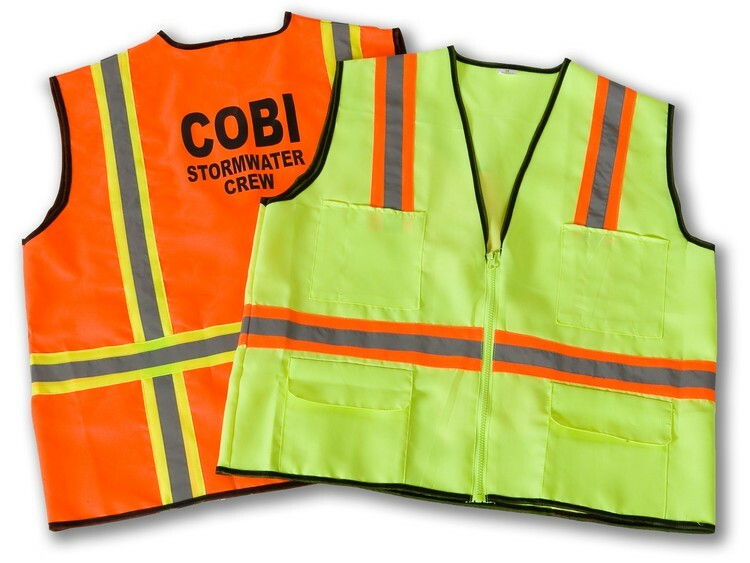 Great for safety program, construction or road work zones. 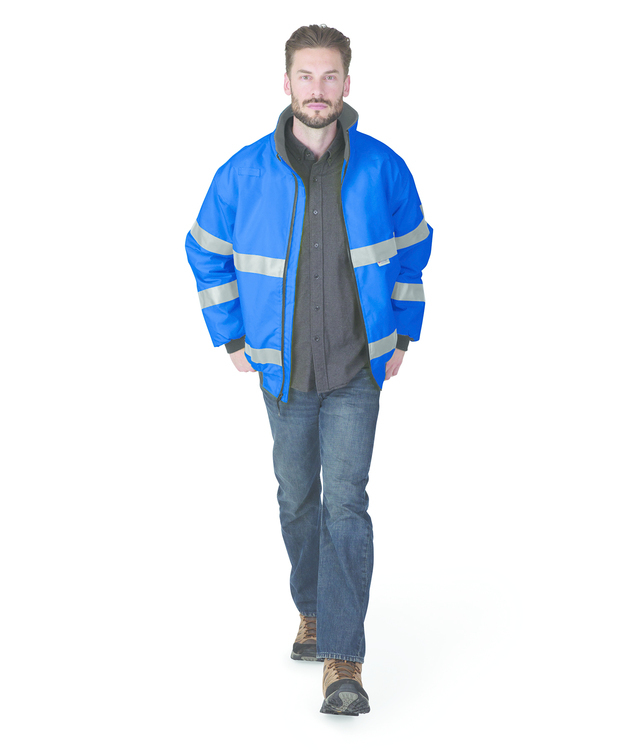 Wind/waterproof Oxford Polyester with a 2000mm coating and taped seams. Anti-pill black fleece lining 8.26 oz/yd2. 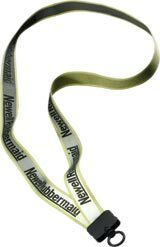 Lime Green and Lime Green/Black are rated ANSI 107-2010 Class III. 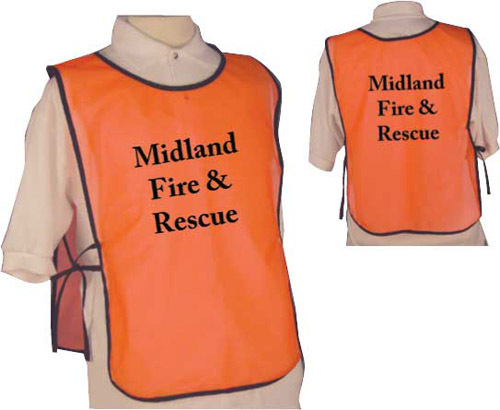 2 inch high 3M™ Scotchlite™ Reflective Material on front, back & arms. Front shoulder loops for radio attachment. Rib knit cuffs & hem. Sew-on badge holder included. Covered zipper side pockets & inside valuables pocket. 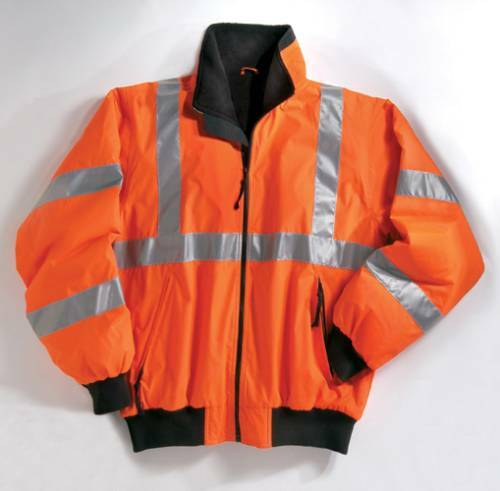 Side-seam zippers allow for ventilation and quick access to duty belt. ESA System (Embroidery Stow-Away) for easy decorating access.